It was a good week for Dutch robotics. 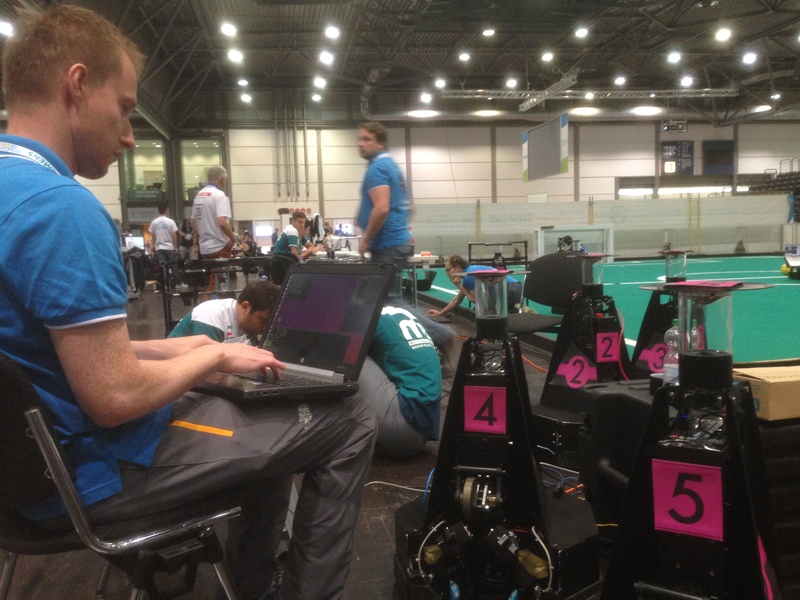 During the RoboCup in Leipzig, teams from TU Eindhoven and Delft University of Technology showed the world that the Netherlands are at the forefront of creating the next generation robotics. Team Delft, a team with members from Delft University of Technology and company Delft Robotics, won the Amazon Picking Challenge. It was the first time Team Delft participated, and they won convincingly: they won both the stowing and picking finals. TU Eindhoven proved that they are still the best in letting robots play football: Team Tech United won the World Championships after participating in the 9th finals in a row! Both the finals of Team Delft and Team Tech United proved to be thrilling: whereas the picking challenge was decided by a ‘photo finish’, Team Tech United only beat the team from Beijing University after a penalty shootout. "The team is a playground for people who want to try out things"
The Eindhoven area was present with three football teams. Besides the university, the company Team Falcons from ASML participated as well, as was the team from VDL (the former Philips team). The ASML team was founded by employees who wanted to do something fun next to their work, tells team captain Jaap Vos. “Some colleagues bicycle or go running together, we built a robotic soccer team.” It makes sense: the machines that are built at ASML use some of the same technologies as the robots. 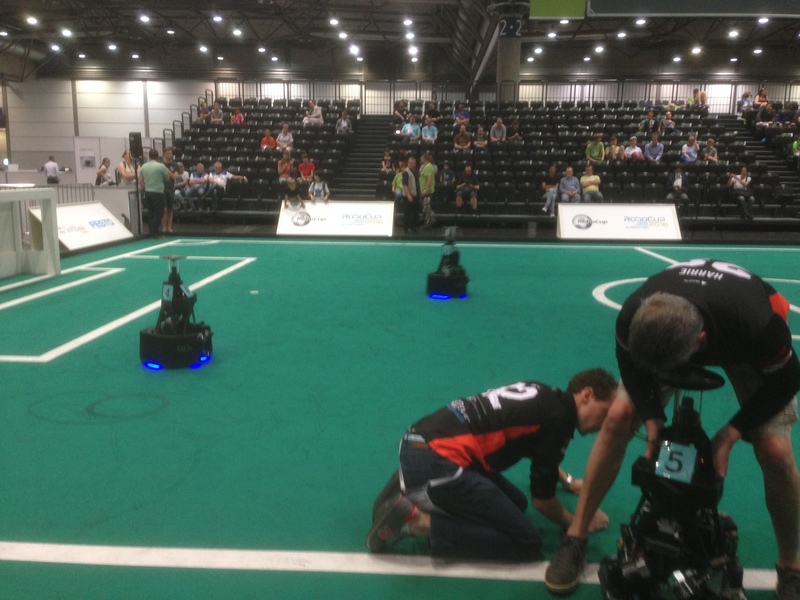 VDL Robotsports is the only team that is not centred around a research programme. “We’re a bunch of unorganised techies”, tells Henk van Gijn, a retired former Philips employee. The youngest team member is 14, the oldest 68. Although his team did not perform very well, they can rely on a golden heritage: their team was the first to produce robots that could shoot really hard. So hard, Van Gijn told us, that it was first forbidden because the cameras could not follow the ball. Besides football, TU Eindhoven competed in the @Home League as well. They secured the second place in the competition for care robots. Besides Eindhoven, there were two more Dutch teams: Smallsize Holland from Saxion Hogeschool and the Dutch Nao Team. Which of course was a Walhalla for people who like those funny Naos. There were lots of them! They told us all the teams had difficulties with ball recognition this year. But otherwise, they were really optimistic. 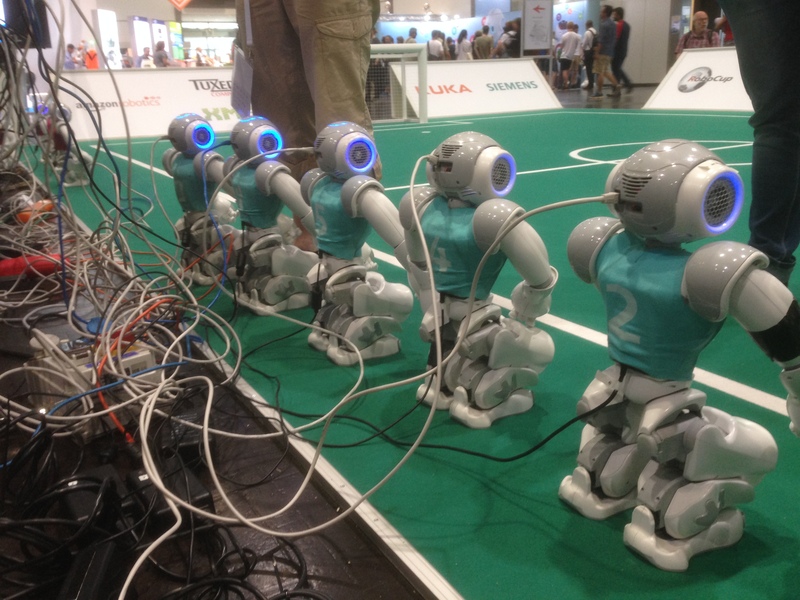 And just as in real life, the Nao robot players needed half time to recharge. Literally.